Schizophrenia is one of the most severe chronic mental health conditions - people hear voices, experience paranoia and struggle with concentration. 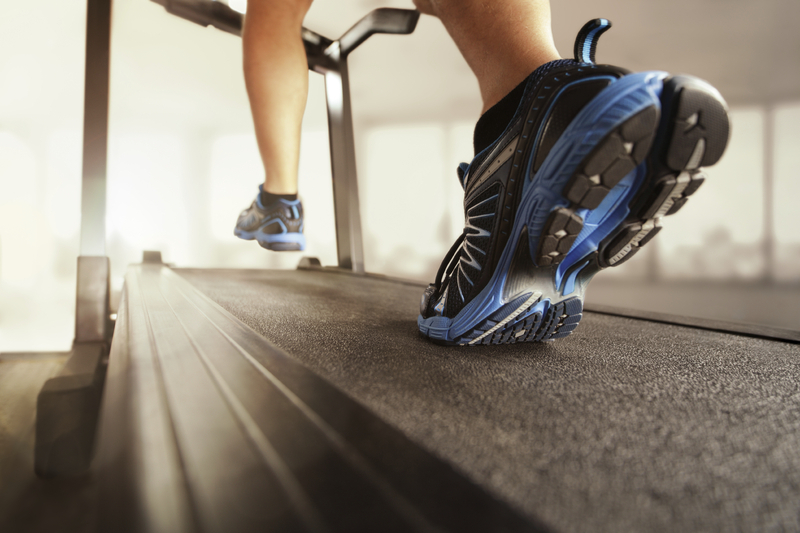 A new study suggests regular exercise might help alleviate some of those symptoms. University of Manchester researchers conducted a systematic meta analysis. They combed through the extensive scientific literature on exercise and mental health and pulled the best studies -- 10 independent clinical trials that included 385 patients with schizophrenia. The trials compared people who participated in activities involving aerobic activities like treadmill workouts, cycling and interactive video games with control group participants who received standard schizophrenia treatments or played table football or received occupational therapy. They found that about 12 weeks of aerobic exercise can help boost "brain cognition." "Many patients with schizophrenia have problems with attention, memory and other aspects of cognition, which impairs their ability to function in the real world. However, aerobic exercise training appears to improve the brain functioning of people with schizophrenia," study author Joseph Firth, a doctoral researcher at the University of Manchester, told CBS News. Greater amounts of exercise were associated with larger improvements in brain health, the authors reported. Dr. Drew Ramsey, an assistant clinical professor of psychiatry at Columbia University, and chairman of the Communications Counsel for the American Psychiatric Association, told CBS News, "The theory is that lifestyle changes influence brain growth factor -- brain-derived neurotrophic factor (BDNF) -- a protein in the brain that is very healing. It repairs damaged brain cells. ; it coaxes the birth of new brain cells. The idea would be that exercise makes patients better at learning some social skills and that, as we see improvement in their working memory, overall their brains are healthier." Study author Firth said more data is needed to prove the BDNF theory, though. Symptoms of schizophrenia often show up around age 16 or 18, said Ramsey, who was not involved with the study. People developing schizophrenia may start acting paranoid or start having delusions (a subject believing he/she is Jesus Christ is a very common delusion). "They hear voices, or may think something bad is about to happen, or some people [think they are being] told to do things. Or there is paranoia - people believe things are not true. Like they may think you're with the FBI," said Ramsey. Medications are still needed to help manage the acute phase of the illness, to help manage hallucinations and delusions, including hearing voices. But aerobic exercises, such as running on a treadmill or riding an exercise bike, have a place in treatment, Firth said. Using exercise from the earliest stages of the illness could reduce the chance of long-term disability. It's affordable, too, added Dr. Sudeepta Varma, clinical assistant professor of psychiatry at NYU Langone School of Medicine. "Exercise may provide a low-cost, effective option without many of the side effects that psychotropics carry. However, exercise adherence is a barrier and must be addressed head on," Varma said. Firth concurred: "Most people need extra help with motivation for exercise. People with schizophrenia may face even more barriers due to their mental health, social circumstances and the side effects of their medications." Ramsey said lifestyle changes such as exercise and healthy eating are best done with some structure, but it's not a one-size-fits-all prescription. "All clinicians should encourage their patients to lead a healthy lifestyle. But it's individual. There are a lot of different ways to do it. The bottom line is patients and the rest of us need help and encouragement to move our bodies and exercise," he said, and schools, workplaces and health care systems are good places to start.